A new Henry James short story just released! Lee Ann is pleased to announce the publication of her latest recording, The Ghostly Rental by Henry James, on Audible. You can listen to a sample of this story and/or purchase it here. 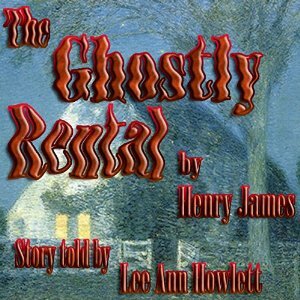 Posted by lahowlett on June 13, 2014 in Uncategorized and tagged Audiobook Month, audiobooks, audiomonth, ghost story, Henry James, JIAM, short story, The Ghostly Rental.